In the span of 12 years, Brent went from working as an intern at the legendary Avatar Studios to a 3 time Grammy winning producer and mix engineer with over 24 Gold and Platinum Albums, and a credit list that contains major label artists including the likes of Kanye West, Eminem, Lenny Kravitz, and Janet Jackson to name a few. His mixing and production credits cross genres from hip hop to electronica, rock to pop, and even a great deal of world music artists. Brent has also produced acclaimed remixes for Nine Inch Nails and Ida Maria. In 2009, Brent formed the production team called Katalyst with Ken Lewis. Partnered now with Boi-1da, Katalyst have become a production force in the music industry producing high profile songs for major label artists in North America and all across the globe. 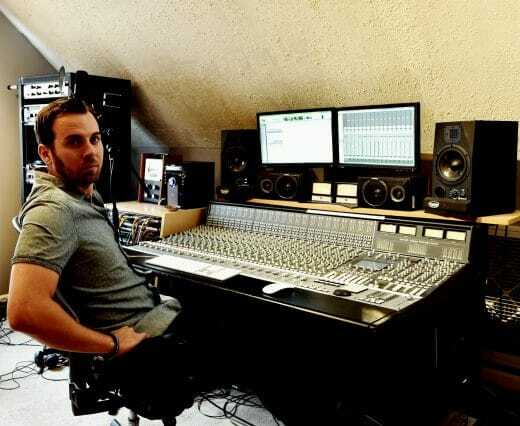 Brent mixes and produces all of his work out of the world class Full Time Dreamer Studios. This studio has been home to many critically acclaimed Grammy winning, Gold, Multi-Platinum, and #1 albums.